Daredevil great-great gran June Ridgway fulfilled her life-long ambition to paraglide – AGED 90. The fearless pensioner, who suffers from macular degeneration and struggles to walk after undergoing a hip-replacement, took part in the event for charity. 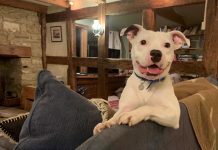 Despite her age, June has undergone a catalogue of thrill-seeking challenges over the last 20 years including scuba-diving, wing-walking and learning kick-boxing. June, who lost her husband 15 years ago, embarked on her charity challenges after she drew up a bucket-list when she retired from her job at a carpet factory. 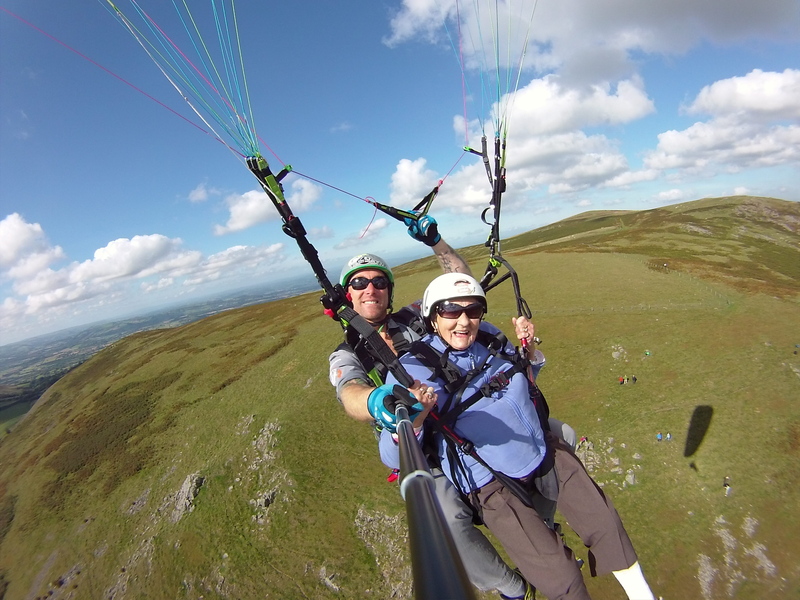 June, who has three grown-up children, ten grandchildren, 23 great-grandchildren and two great-great grandchildren, completed her paraglide in Hinton-in-the-Hedges, Northants., on September 19. She said: “I absolutely loved it. “I was really excited to do the paraglide. I’m quite an adventurous person and I’m quite fit. “A paraglide is something I have always wanted to do. I’ve done everything else I wanted to do so I thought I would try that. I want to carry on doing things like this for as long as I can. “It was very exciting. I wasn’t nervous at all. In fact, the guy up there with me, who was lovely, said he was more nervous than I was. “It was wonderful. I felt like a free bird in the air. It was great. “I think everyone should give it a go. They will love it. “When I turned 60 I thought ‘I have got ambitions and I’m going to go for them’. I had never been abroad or learned to drive and I have done all of those things now. “I have ticked paragliding off my bucket list now too and it was great fun. June, from Kidderminster, Worcs., raised around £1,000 for Blind Children UK.